Sheboygan County, WI is located between Fond Du Lac and Lake Michigan on the eastern middle part of the state along the only great lake entirely in the United States of America. Sheboygan is known for its sailing, kayaking, boating, sun rises, big lake fishing, golfing, surfing, parks, beaches, farmers markets, hiking, shopping, fine dining which also Sheboygan Marsh State Wildlife, Old Wade House State Park, Maywood Environmental Park, Kohler Park Dunes State Natural Area, Sheboygan River, Elkhart Lake, Crystal Lake plus a couple communities including; Elkhart Lake, Howards Grove, Sheboygan Falls, Oostburg, Cedar Grove, Random Lake and Sheboygan. It's surrounded by 5 other Counties; Manitowoc, Calumet, Fond Du Lac, Washington and Ozaukee. On this page you will find Commercial Buildings, Businesses for Sale, Lease, Restaurants, Automotive, Churches, Hotels, Motels, Retail Space, Warehouses, Shopping Centers, Office Space, Bars & Grills, Manufacturing, School Buildings, Gas Station and more located in this county listed by real estate agents. 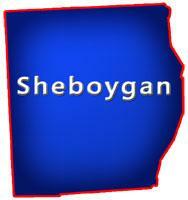 Sheboygan County, Wisconsin GIS MAP Information!